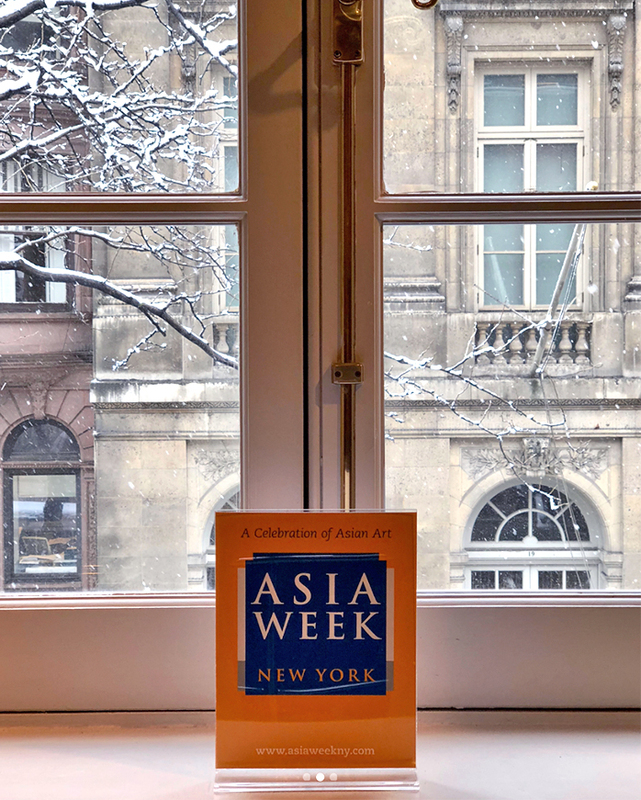 For the second consecutive year, a snowstorm has befallen New York City during Asia Week New York—and once again, our fearless dealers opened their doors despite the inclement weather. Here are a few photos they've shared throughout the day! Suneet Kapoor (left) and Carol Conover of Kaikodo LLC, undeterred by the snow. BachmannEckenstein | JapaneseArt even decided to offer discounts today—1% off for every inch of snow! And lucky for you, they will be open an additional day tomorrow as their flight back to Switzerland has been delayed. Lastly, to make sure Scholten Japanese Art remains open, director Katherine Martin is camping out at the gallery during the storm, surrounded by handsome kabuki actors.